Our IOM fleet is gearing up for another exciting season of racing with your local sailors meeting on the breakwater Thursday afternoons for racing practise. Saltspring sailors have already traveled to Victoria and Nanaimo to participate in races as well, starting on New Years Day at Beaver Lake. By month’s end I had completed 82 races this year and am looking to get close to Jerry Brower’s record of 870 last season. This Thursday we had good wind and managed 21 races with Mark Wallace winning the day and taking 12 firsts. 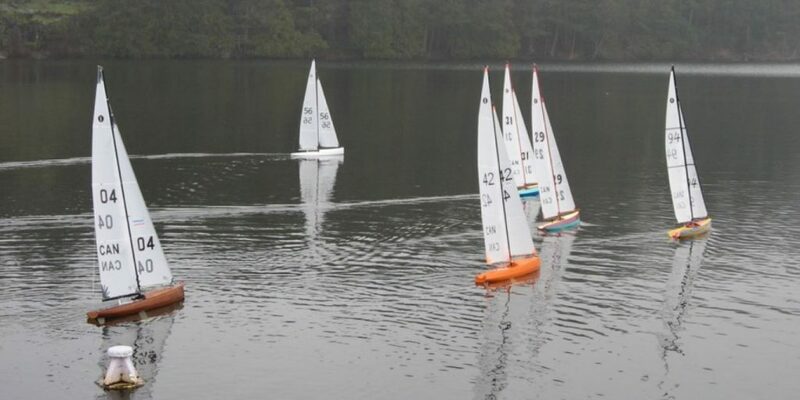 When I arrived at Long lake last week the races were already in progress despite the light wind but by the time I was rigged the wind was stronger and we had good sailing with 16 races completed. Here is the proposed schedule for IOM’s this year with most of the dates now confirmed including the SISC event on June 21-23rd. Volunteers from the racing fleet would be most appreciated for our local event and of course we would love to have you come down and try your hand at small boat racing with us.